At the 10th China Intelligent Vehicles Future Challenge (IVFC), Velodyne Lidar, Inc. sensors played a prominent role in enabling self-driving vehicles from multiple teams to navigate real and complex road traffic environments. 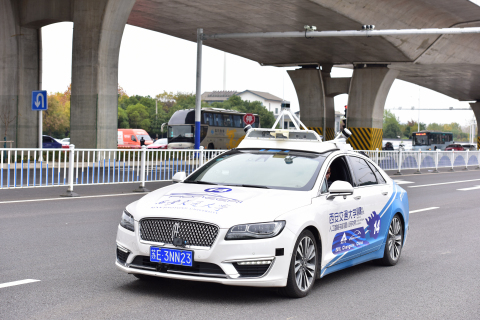 As an IVFC sponsor, Velodyne had its industry-leading lidar sensors on 20 of the 27 participating teams, including the competition’s winner, at the longest-running and most authoritative autonomous vehicle (AV) contest in China. The IVFC, which took place in Changshu, Suzhou, China in November 2018, attracted a diverse group of teams looking to showcase their latest developments in AV technology. In addition to teams from university research institutes, innovative startup companies and vehicle manufacturers engaged in developing driverless cars participated in the competition. The challenge was hosted by the National Natural Science Foundation of China and organized by the Changshu Municipal People’s Government. The challenge included both real-road and offline testing of environmental perception. In the real-road test, the self-driving vehicles competed on urban roads, suburban roads, and elevated expressways. Vehicles navigated dense human-driving traffic flow and various adversarial conditions like GPS-signal loss, road construction, crossing pedestrians, and heavy rain. The IVFC winner was the “Pioneer” team from the Institute of Artificial Intelligence and Robotics, Xi’an Jiaotong University and Sunny Optical Technology Co., Ltd., which was equipped with one Velodyne Ultra Puck™ and two Velodyne Puck™ sensors. Velodyne will award the winners with one Velodyne HDL-64E and two Velodyne Puck™ sensors for future AV development. Landis Communications Inc. for Velodyne Lidar, Inc.